Coupons Aug 25, 2011 in clothing, OldNavy, retail · Expired! 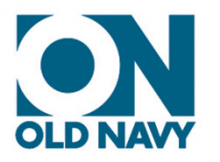 Coupons Jul 20, 2011 in clothing, OldNavy, retail · Expired! GAP is offering a great deal starting today. You can buy any regular priced pants or jeans and get any top for FREE. The top must be of equal or lesser value. For more details, head over to Facebook and check out the GAP page. While you are on Facebook, don’t forget to “Like” Frugal Day. We have a great giveaway going on just for our Facebook fans! Offers Feb 22, 2011 in free, Gap, retail · Expired! 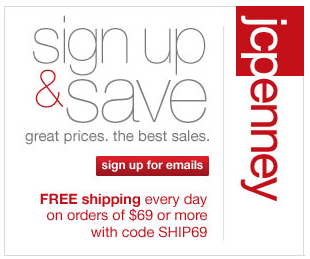 If you shop at JC Penney, sing up for their JC Penny newsletter to get special offers and extra savings. This is a huge weekend for retailers. Not really a surprise at how many deals are coming through. Click on the store name to check out these printables and online codes! If you have a great coupon or know of a new store deal, let us know! Coupons May 28, 2010 in retail · Expired! Heading out this weekend? Check out these printables! 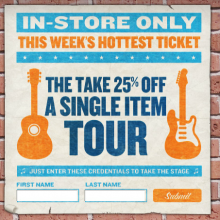 If you have a great coupon or know of a new store deal, let us know! Coupons May 21, 2010 in retail · Expired! Coupons May 1, 2010 in retail · Expired! Coupons Apr 17, 2010 in retail · Expired!